Amidst the franchise machine of summer blockbuster season, the occasional unique and wholly original small film manages to poke its proverbial head out from amongst the crowd. Summer 2017 has already had seen a few but none are quite to the artistic level or strangeness that is A Ghost Story. 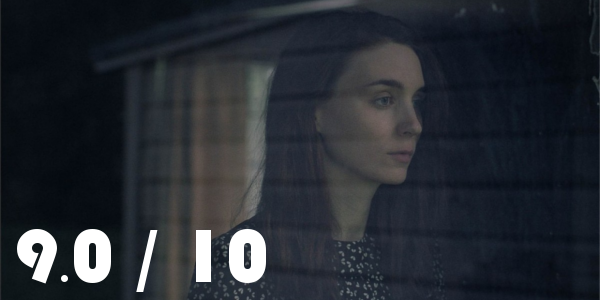 A passionate young couple (Casey Affleck & Rooney Mara), unexpectedly separated by a shocking loss, discover an eternal connection and a love that is infinite. To say that A Ghost Story is unconventional would be an understatement. The non-linear narrative and little dialogue allows for a film that’s the peak of what visual storytelling can accomplish. 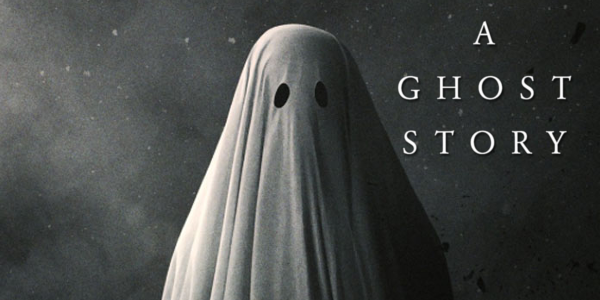 Sad and morose from start to finish, A Ghost Story doesn’t pull any punches, pummeling its viewer with eloquent themes of life and time. And despite dealing with these difficult subjects, the film never, outside of one section of well-written but heavy-handed dialogue, feels like it’s trying too hard. Due to the lack of dialogue or even other characters, the performances have to be stellar to make this particular film work. A lot of that, in this case, falls on Rooney Mara’s shoulders. Mara portrays grief and pain without speaking a word, just a performance that shows off just how great she is. Who else could make a 5-minute pie-eating scene compelling? (And yes, that happens, and yes, it’s strange and somehow gripping still.) Her counterpart, Casey Affleck is good, when not covered in a sheet that is, but doesn’t get to do that much anyway, leaving the bulk of the performance praise for Mara. Overall, A Ghost Story is an incredibly unique cinematic experience that pulls on the deepest emotions of the human spirit that a film can. It’s obviously not for everyone, but one would hope that the strange setup and interesting themes do not get lost amongst the fray of summer movie season. A Ghost Story is among one of the best this year and for a film on the enormity of time, director David Lowery has made something timeless. So what did you think of A Ghost Story? Have you seen it? Are you interested in seeing it? Share, subscribe, comment below, and as always return to I Am Sam for weekly reviews and insight.